You’ve created your wort, pitched your yeast, and fermented it. Now you’ve come back after a week or two to take your legendary lager or astonishing ale through the final step. The only thing standing between you and that first refreshing sip of crisp, bubbly beer is a good priming and bottle conditioning. When it comes to priming your brew, understanding the ins and outs of priming sugar—the main component in priming solution—is essential to making sure your careful craftsmanship and hard work pay off. While it’s certainly possible to drink your beer without carbonation, to get the best flavors and thirst-quenching zing from your liquid labor of love, you definitely want to carbonate it. Bottle brewers rely on priming solution to accomplish this. Adding a sugar-based priming solution to the brew as you bottle it provides food for the yeast to create effervescence over a two-week period as the beer ages in the bottle. That effervescence is carbon dioxide (CO2). As the yeast feasts on the sugar in the priming solution, it generates CO2, adding bubbles to your brew. Your beer already has a small amount of carbonation present from the first two stages of the fermentation process. It can achieve stronger carbonation through bottle conditioning, a final fermentation in the bottle, based on the variety you’ve brewed. The priming sugar you use is entirely up to you. 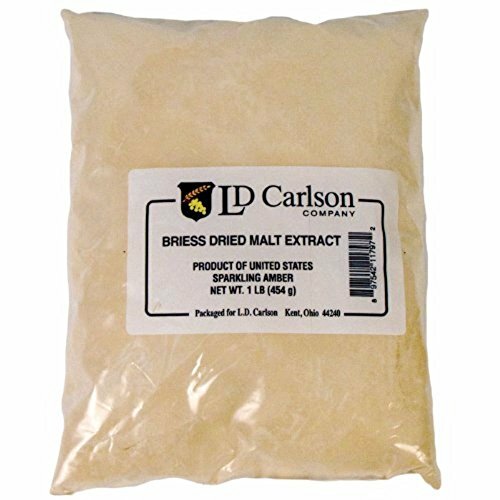 Three of the most popular types of sugar used to create priming solution are corn sugar (dextrose), table sugar (sucrose), and dry malt extract (DME). While all three provide a source of tasty nutrition for the yeast that will carbonate your brew, each requires a special calculation for maximum efficacy as a primer. BONUS: We’ve also included a special section on priming with honey, which requires a slightly different approach than other primers. Nope, we’re not talking about prime numbers. We’re much more interested in priming numbers—the formulas that let you create the perfect priming blend for your brew. The residual carbonation present in your brew after a round of fermentation (determined by the temperature at which you ferment your brew). The target carbonation for the beer style you’re making. This info is essential, because Residual Carbonation Level + Priming Carbonation Levels = Target Carbonation Level. Your best bet is to use a carbonation priming chart to help you estimate the amount of carbonation you’d like to add with your priming solution. Note: The chart we’ve shared also provides some basic recommendations for priming five gallons of brew with dextrose or sucrose at assorted temperatures, but for the nitty-gritty (and a deeper understanding of the process), read on. Once you’ve established your target carbonation level, you’ll need to calculate the amount of priming sugar needed to produce the desired carbonation. Homebrewing is as much an art as it is a science, so if you’d rather not spend your days running numbers on a chalkboard like an ’80s movie professor, you can get fast and accurate answers using a priming sugar calculator, which will happily do the math for you. In a real hurry? You can simplify the process of bottling beer by using priming sugar tablets. You’ll get your beer bubbling in no time without having to become the kid from Good Will Hunting. Added directly to the bottles at bottling time, priming tablets make it as easy to prime one bottle as it is a dozen. 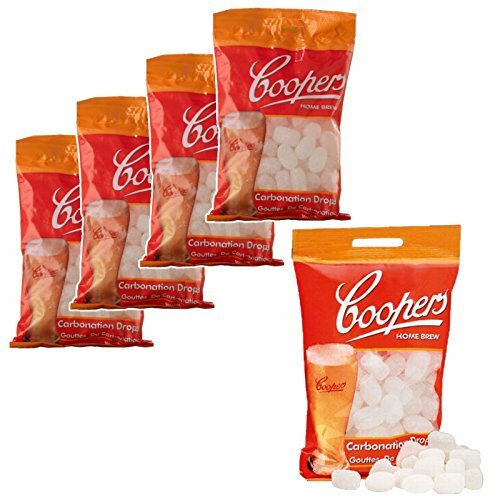 You can usually find them in two varieties: straight priming sugar tablets, often called carbonation drops, and conditioning tablets, which contain DME and heading powder (a blend of dextrose and gum arabic designed to promote head retention) as well as corn sugar. Both are extremely easy to use—just follow the directions on the package. provide greater convenience and easy storage, so you can use priming tablets as either a primary source of priming (say that three times fast!) or as a backup. reduce the risk of bottle bombs due to over-priming. 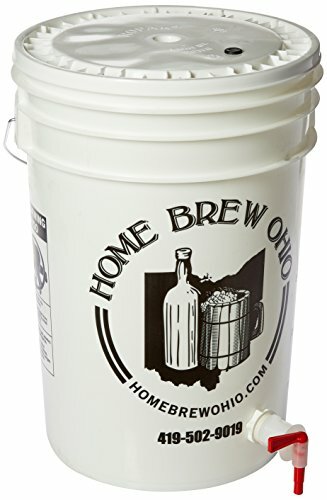 eliminate the need to move your brew from your fermentation vessel to a bottling bucket, reducing the risk of oxidation or disturbing the accumulated trub and yeast cake at the bottom of your fermented brew. give you greater flexibility when bottling and eliminate the need to sterilize the sugar. Caution: Priming tablets trade precision for convenience. You won’t be able to “fine-tune” your primer the way you would with manual calculations, but you won’t have to get out your calculator, either. If you’re a diehard DIYer, and you want to do everything yourself, including the math, we’ve thought of you, too! Read on to completely nerd out on the numbers. Or you can skip to the next step in the priming process. Sure, you could use that handy priming sugar calculator. Or you could take credit for every single step of the homebrewing process by doing the math yourself. Let’s take a look at the formulas for each of the three popular primers. These measurements account for the differences in volume and fermentability for each substance, and serve as a reminder that it’s usually best to weigh your ingredients to achieve the best results. But you can fine-tune that with the formulas to make sure you hit your target carbonation and brew the best beer possible. For each formula, we’ve provided an example solution based on the data from the carbonation priming chart. We’ve used the same beer for all three examples. CF is the level of CO2 in your flat brew (in grams/litre), known as volumes or “vols” in the Imperial system. D is the amount of corn sugar (in grams). VB is the volume of your brew (in litres). CB is the carbonation level of your finished beer (in litres), known as volumes or “vols” in the Imperial system. EXAMPLE SOLUTION: Consulting your carbonation priming chart, you’ll see an American ale fermented at 71° F (21.7° C) has a residual carbonation of .807 (1.58 g/l). You’ve set your target carbonation at 2.6 volumes (5.1 g/l), which is within the range of 2.2 to 3.0 for American ales. 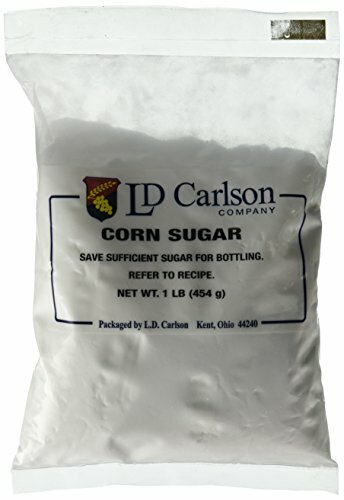 Let’s take a look at the formula using the standard 3/4 cup (113g) measurement of corn sugar. 1.58 + .5 (.91(113)/19) = 4.29 g/l, or 2.19 volumes. 1.58 + .5 (.91(145)/19) = 5.05 g/l, or 2.58 volumes. CF is the level of CO2 in your flat brew (in grams/litre). S is the amount of table sugar (in grams). CB is the carbonation level of your finished beer (in grams/litre). 1.58 + .5 (150/19)) = 5.53 g/l, or 2.81 volumes. This primer is a bit different than its sugary siblings, as it requires a bit more calculation to find the correct amount of carbonation it will create. In addition to the amount, you’ll also need to know the fermentability of your DME, which is also known as the limit of attenuation. This is the amount of material in the DME the yeast in your brew can digest and convert during the final fermentation. FA is the apparent fermentability. FT is the true fermentability. Let’s say the DME you’ve chosen for your brew has an apparent fermentability of 75% (a fairly common value). Your DME would have a true fermentability of 61.5%, since .82 x .75 = .615. FT is the true fermentability of the DME. X is the amount of DME (in grams). 1.58 + .5 (.615(181/19)) = 4.5 g/l, or 2.30 volumes. 1.58 + .5 (.615(215/19)) = 5.1 g/l, or 2.58 volumes. Honey has a long history as an ingredient in bubbly brews. While it can be added during the brewing or fermentation phases of beer making to add flavor and character, or it can be used by itself or with other ingredients to create mead, melomel, and other versions of honey wine. For priming, however, honey requires a slightly different approach than other sweeteners. In general, darker brews pair best with darker honeys. Honeys vary widely, but in general, ½ cup to 1 cup of honey is considered adequate for priming five gallons of beer. To help reduce the risk of bottle bombs due to over-priming, you can dig into some math. The uncertainty buzzing around honey means the only surefire way to calculate the amount of fermentable sugar (and therefore, potential carbonation) it contains is to calculate its specific gravity. The specific gravity of a substance is the ratio of its density to that of water (for liquids) or air (for gases). Once you have the specific gravity of your honey, you can compare it to that of sucrose, and then calculate the amount of undiluted honey you need based on your results. Dilute your honey to create a 10% solution (for example, dissolve 10 grams of honey in 90 grams of water, stirring well). With a hydrometer, measure the specific gravity of the honey solution. Calculate (or use a priming sugar calculator to find) how much sucrose you need for your brew. Divide the amount of sucrose needed by the fraction you obtained in step three. This will tell you how much undiluted honey you’ll need for priming. EXAMPLE SOLUTION: For our final example, we’ll continue with our American ale, and use the values from our sucrose priming calculations to figure out how much honey we’ll need. Let’s say the specific gravity of our honey solution is 1.030. That means its specific gravity is .75 that of a 10% sucrose solution (specific gravity is measured relative to 1, so a difference of .03 is 75% of a difference of .04). We’ll need 173 grams of undiluted honey to prime this five-gallon batch of American ale and achieve the same carbonation volume as we would with 130 grams of sugar. Once you’ve calculated the required amount, you can treat the honey as you would any other priming solution during bottling. Note: Due to the small amount used and the fact that the sugars present will be converted to alcohol and carbonation by yeast, the flavors added by honey in the priming stage will be minimal (or even non-existent). Also, boiling honey destroys most of its health benefits as well as its delicate floral notes, so adjust your expectations accordingly. All these calculations might seem like a bit of an uphill climb, mathematically. But they’re worth the effort to avoid under-priming your beer and leaving it flat and uninspiring. Or worse yet, over-priming it, which can lead to funky flavors and exploding bottles! Once you’ve calculated the values for your brew’s priming solution, it’s time to create it. Prepping the solution doesn’t take much time or effort, but it does make the bottling process much smoother and improves the chances of high-quality carbonation for your brew. In a clean saucepan, bring 16 ounces (.47 litres) of water to a boil. Add your priming sugar of choice, and stir until completely dissolved. Cover and set aside while you prep your bottling bucket. Once you’ve got your priming solution prepared, it’s time to make some magic. 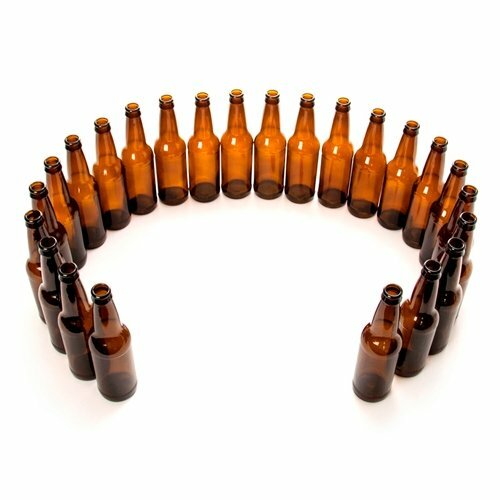 Before you begin, take a moment to review your setup for maximum beer bottling awesomeness (and safety). As with all other steps in the brewing process, you’ll want to make sure the equipment you use isn’t just clean, but also sanitized, so have the right homebrew sanitizing chemicals on hand during priming and bottling. Once you’re ready to roll, it’s time to turn your brew into beer! Double check to make sure your bottling bucket spigot is securely closed. Add your priming solution to your bottling bucket. Carefully siphon your brew from your carboy into the bottling bucket and mix it with the priming sugar solution. Important: Siphon carefully from your carboy to avoid pulling any of the trub (the sediment at the bottom of your brew) into the bucket with the brew, as it can alter the flavor and clarity and ruin all your hard work! Move your bottling bucket into bottling position after carefully setting aside your carboy. Using a bottle filler, carefully transfer your brew to your bottles, filling them all the way to the top. Removing the bottle filler wand will leave about ¾ to 1 inch of headspace to allow for proper carbonation. 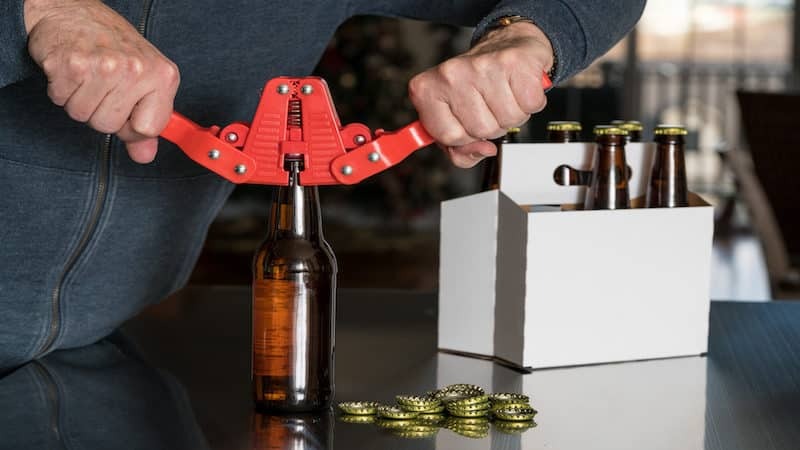 Cap your beers with a capper and set aside in a dry, room-temperature place so the yeast will remain active and generate carbonation in your beer as they consume the priming sugar solution. Wait two weeks (this is the hard part!) for fermentation to complete. After two weeks, chill one beer, then crack it open to test it. If it’s not quite there, age the remaining bottles for a few more days. But if that first beer looks, smells, and most importantly, tastes great, it’s time to savor the flavor of your success! Mastering the sweet science of priming sugar doesn’t have to leave you bitter. The more you brew, the more you’ll get a feel for the priming process. With thorough notes, careful planning, and a bit of patience, you’ll soon find the sweet spot (pun intended) for all your brews.